This service covers most of the globe except for the top and bottom i.e. Arctic and Antarctica. 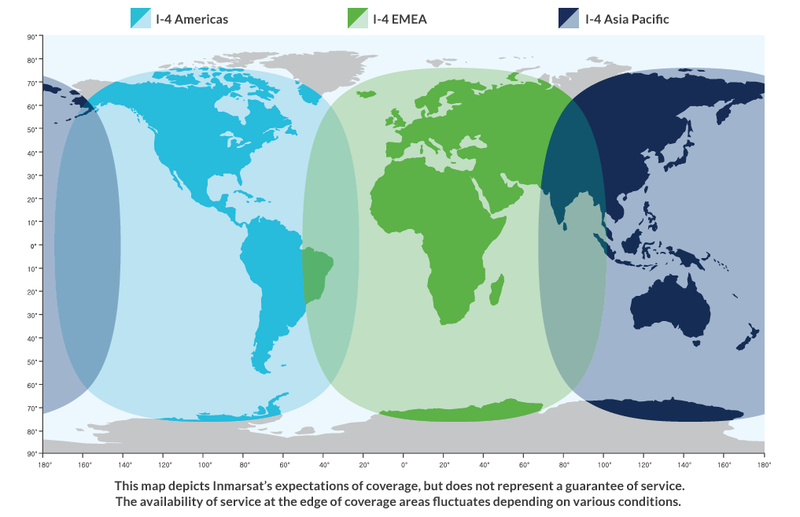 Unlike Iridium, they use just a couple of geostationary satellites with a much higher orbit which means calls are dropped less often and less subject to being blocked by tall objects. You can choose between a standard, contended IP service and guaranteed data rates on demand. Three types of terminals are available, each offering different performance capabilities.